Why choose Leobo Private Reserve? What’s really missing from your life? If the answer is “Bush” then you really need to get out more. 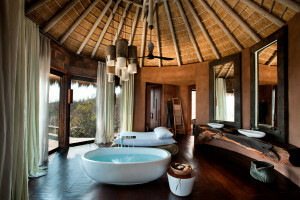 But if the answer is “Bush Safari by day” and “a hundred million stars by night”, then boy, do we have a holiday made in heaven for you. So close your eyes and imagine Sir David Attenborough marrying astronomer/physicist Professor Brian Cox - because that’s the best way to describe your next holiday! 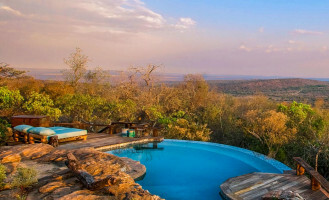 Nestled in the beautiful Waterberg Mountains, just three hours’ drive from Johannesburg lies Leobo Private Safari Reserve. Her 20,000 acres of magisterial beauty make it the perfect place to relax, imbibe the best South African wines and run like buggery from charging rhinos, giraffes and lions. 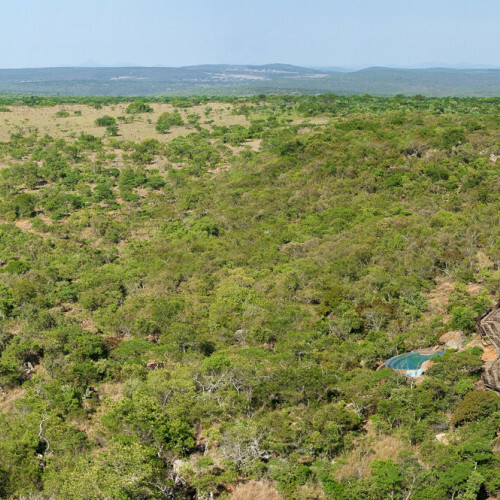 You can while away the day dining on the stunning rooftop Lodge or join game drives, hire ATV’s, or undertake activities like skydiving from helicopters or rock climbing. Well, as the sun sets below the savannah horizon, and as the perfect, pollution-free African sky gives way to darkness, The Bush Observatory’s copper dome swings open to reveal a 20 inch Dahl Kirkham telescope for viewing planets, nebulae and a million, billion stars. There’s also an 8-inch Hydrogen Alpha scope for looking directly at the sun! We can’t guarantee you’ll see Simba’s dead father in the stars as he did in The Lion King, but we can guarantee the ultimate place to see the universe and no lion-sized cat-flaps.